Brain Rules: Fishing Expeditions and Autism: A Big Catch for Genetic Research? Fishing Expeditions and Autism: A Big Catch for Genetic Research? 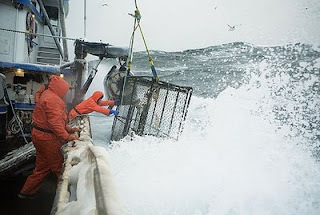 I am a fan of the television show Deadliest Catch—a documentary series that follows the travails of deep-sea fishermen in the Bering Sea. (Actually, it is mostly about deep crab fishing.) Living in Seattle, I have actually seen some of the boats filmed on the show. The variety of equipment the fishermen use to capture sea life is extraordinary. Trawlers and purse seiners—boats that use long-line nets and gill nets—make it possible to catch thousands of fish at a time. I am constantly struck by the comparison between these large, industrial efforts and the “weekend” fishermen that Seattle also has by the thousands. The amateurs use simple fishing poles to catch one fish at a time. Where the Deadliest Catch boats are based, you can often see both styles side by side. I mention these 2 contrasting styles of fish harvesting because there is a comparison that I would like to make in this month’s column and in the next. It is not much of a stretch to say that isolating the genes responsible for complex behavioral disorders can seem like fishing expeditions (complete with analogous net comparisons). There are giant efforts that deploy the molecular equivalent of purse seiners designed to snag large groups of genes that share a potential involvement in whichever presenting behavior is under study. These efforts can be contrasted with technologies that use the equivalent of small fishing poles, the goal of which is not to catch large, glittering groups of nucleotides but single genes, one at a time. In this column and the next, we will tackle one of the most slippery issues in the behavioral sciences: the genetic basis of autism.